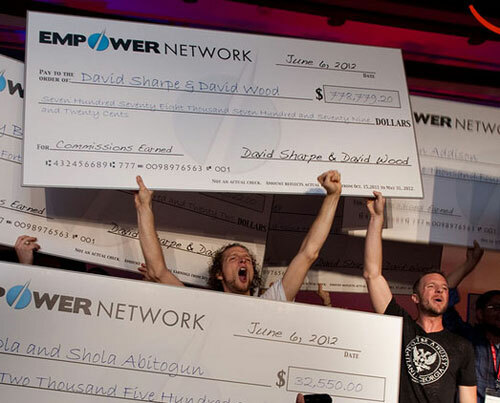 Empower Network is bankrupt, David Wood explains all? When David Wood last appeared in public, the situation appeared rather grim. Obviously under the influence of something, Wood appeared disheveled and suffering from an acute case of “God complex”. That was early June. Less than a fortnight later Wood’s brother William walked out and since then things have been quiet. With the future of Empower Network hanging in the balance, today Wood appeared in a new video to explain what exactly went down. Wood’s new video appeared yesterday on his “Empower Network” Facebook page. A few weeks back public access to the profile had been revoked. In contrast to his last appearance, Wood claims he’s “not messed up any more” and is “not on any drugs”. This is probably the first time I’ve actually felt good since two thousand, probably, honestly, truthfully 2012 – 2013. When he started is unclear, but Wood reveals he was addicted to alcohol, Concerta (prescription ADD medication) and testosterone. I used to carry ADD medicine around in my pockets, just to try and manage this thing that I’d created – and I just got really messed up. I couldn’t stop taking the ADD medicine, I took it for three years. I couldn’t pay attention to (things) because my brain had ADD – it doesn’t now. I’m healed from it. My brain is healed from it, they’re (addictions) gone. I’m getting therapy, right? I wanna make sure that everybody is safe in the new thing that I’m doing. The therapist is going to be actively reporting to Will, my brother. And that brings us to the “plant medicine”. So I decided to stop taking the ADD drugs. I won’t tell you why, I just decided to stop. And they introduced me to something called plant medicine. Now I’m not going to tell you what that is. You can look it up if you want. And so I went and I bought this stuff and … don’t take it, it’s dangerous if you find out what it is. You’ve got to know what you’re doing. It can hurt you, it can kill you. I’m not 100% sure, but I believe Wood might be talking about Ibogaine. So I took this plant medicine in Puerto Rico when I was at Rob’s house. And this plant medicine healed all of my addictions. It healed them all. God rid of them. They like got sucked out of my brain. And there was more, I was addicted to sleeping pills, testosterone, y’know ADD drugs, lots of caffeine, I was really messed up guys. And it just healed my brain. Healed them all. Sounds great? Not so much. Turns out in using the plant medicine to cure addiction… Wood got addicted to the medicine itself. And then I kept taking it and I took too much. And then somebody put lots of amphetamines in the plant medicine. I don’t know who that was. I’m not going to make accusations. Somebody did (though), because when I tested my blood at the hospital, cause I got thrown in the crazy hospital for like two weeks, I had enough amphetamines in my blood to kill me. Wood attributes the plant medicine ingested with the amphetamines with keeping him alive. And so that made me go crazy. So I apologize everyone for going crazy. For saying I’m gunna put a curse on you. I can’t put a curse on you. So it really, really screwed me up. My skin was all clawed off by my fingernails, which is a sign of amphetamine abuse. Now I didn’t know that at the time. I was on these crazy trips clawing my skin off, and covered in blood and thinking it’s OK, because I’m on enough amphetamines to kill me with every single dose. And I didn’t know that. I didn’t know that I was on them. So uh the plant medicine though, it healed me. It healed my addictions. They’re gone. Now I’m getting therapy too but the root of them, the root of the addictions, is not there anymore. Despite this, Wood has since still managed to find himself in trouble with the law. I got arrested the other day. What happened was I was in the mountains. I got really hot. And then they drove me down to the hospital. While I was at the hospital for a little while … and then in the hospital I felt better. So they were worried about me taking something and wanted to keep me there for three days. And I didn’t know that and they didn’t explain it, and I wanted to leave. And I tried to leave and these guys basically jumped me. And I defended myself and got into a fight with three security guards. Hurt one in their back. Hurt one in their face. Ripped the skin off one of their arms and I’m fine. But they tased me like eight times… yeah, it was like a Kung Fu movie. I got arrested. I got thrown in jail. It’ll go to court. I did not attack them. This apparently is David Wood not on any drugs and feeling the best he has in years. Wood credits the time he was taking the plant medicine laced with amphetamines as the reason he “destroyed the company”. Tara (King) shut down the bank accounts cause her name was on them, because the way we set it was messed up. Now here’s the thing: I’m glad I destroyed the company. I’m happy about it. And here’s where Wood’s confessions start to sound more like a marketing pitch. I know how to do things right. I know how to make that so it doesn’t happen again. And I can show you guys through a long time, by building trust. I know (for) some of you it will take a year to build trust, it’s fine. It’ll take two years for some of you to build trust, I’m OK with that. Let me take time to build trust back. Let me show you I’m going to therapy. Let me show you that I can run the company and show up reasonably on time. I’m not gunna cuss anymore I’m Mormon again. I’m not gunna cuss anymore, I’m not gunna act like a twelve year old in the new company. I’ll protect it. The other bombshell Wood drops is that Empower Network is bankrupt. Empower Network has no money. It is going bankrupt. It’s been broke for a long time and I’ve been trying to save it, to great personal expense of myself. Empower Network has been kind of, y’know uh, tanking for a really long time. If you can imagine getting in debt doing seven million dollars a month in sales and then trying to fix it doing $300,000 a month in sales – that’s what I’ve been going through. A declining company, declining sales volume, trying to pay people back that don’t even know I owe them money since 2014. And it really messed me up bad. Wood attributes Empower Network’s bankruptcy to an accounting issue, discovered by former CEO Jonathan Cronstedt in 2014. What basically happened was a handful of things. Number one … what happened is … there was an accounting error that we made because we were ignorant young kids. We didn’t know how to run a company and we discovered along the way, where we lost a penny on the dollar through a hundred million dollars in sales. 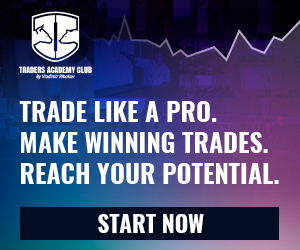 That happened from 2011 to 2013, where bad accounting actually caused us to pay more than 100% commissions. We were paying more out than all of the money that we had – that lost a million dollars. Wood also claims that $1.4 million dollars was somehow stolen and “wired off to Vietnam”. Wood doesn’t go into details (claims he’s under an NDA???) but does reveal the FBI got involved and now the thief is “in Vietnamese jail”. The end result is Wood purportedly owing various people about a million dollars. Wood vows to “pay everyone back” but claims “it will take time”. One common theme throughout Wood’s stream of thoughts is the refusal to do anything publicly until his divorce with Ashley Needles is finalized. I’ve gotta make sure that I finish my divorce with my ex-wife before I start something new. I have a great plan where I’m gunna take people who wanna go with me and help (them) make money like the original Empower Network did. That will launch after I’m divorced. What I probably will do in the next bit is have people… I’ll have some NDAs that will be available that will probably be tied to my personal name, because I won’t start a company until it’s ready. I do know Needles was airing the idea of taking over Empower Network when Wood had his amphetamine meltdown in June, but nothing seems to come of it. Call me cynical, but it seems an awful lot like Wood is stiffing Needles out whatever might have come her way through divorce proceedings. The other loose end of note Wood wraps up is finally clarifying why David Sharpe left Empower Network in 2015. Wood revealed that the real reason Sharpe left Empower Network was because he was “worried about his reputation”. In what context Sharpe was concerned his ongoing affiliate with Empower Network might harm his reputation, I unfortunately can’t say. In his latest video, Wood claims the reason was because he refused to get therapy for his addiction problems. At the time Wood’s issues were covered up by Sharpe claiming to leave the company to focus on his health. The question seems to be whether or not you can run a company into the ground and then resurrect it under a new name. Wood (for now) seems to have a grasp on his personal issues, but I can’t help but wonder for how long. The original Empower Network was a pyramid recruitment scheme, so here’s hoping that doesn’t happen.